Young Earth Creationists are mostly North American and Australian Christians who date the entire Universe- and with it planet Earth - by the Biblical genealogies from Adam to Jesus Christ. Because they thus know from the divine revelation that God created the world about 4000 B.C. all human knowledge about the world must be fitted to this chronology. They say that giving up this chronology is equivalent to giving up faith in God of Israel and His only begotten Son, so the linkage between science and religion is strong indeed. With these Biblical associations we get, for example, from Answers in Genesis and Creative Ministries re-dating of Grand Canyon and making one of God's wonderful creations a subject of ridicule to normal people. I am particularly saddened by the children's book telling about a post-diluvial glacial period. Rather that they tied a millstone to that pious writer's neck and throw him to Gennesaret than he misleads innocent children to such falsities! Young Earth Creationists are left by logical necessity of their pseudo-science without the Keel. 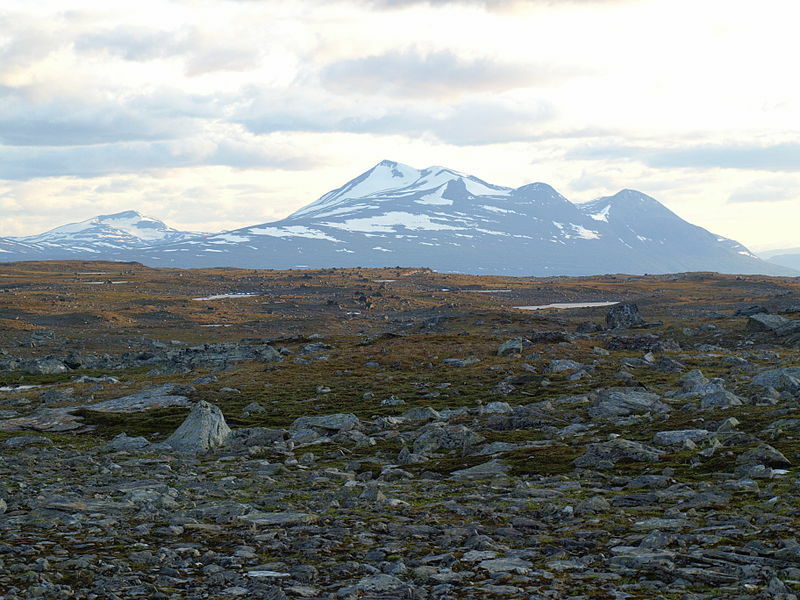 As one of the oldest mountain ranges in the world the geology of the Fenno-Scandian mountain range is particularly complex leaving only one fifth of its original height. But even the remains of this pre-Cambrian formation are so impressive that the area ranks among the most beautiful regions in the entire world - a true masterpiece of Creation that has taken some 800 million years from Him to perfect. The Scandinavian Mountains or the Scandes, in Swedish Skanderna, Fjällen ("the Fells") or Kölen (Fjällen being by far the most frequent name and virtually the only one in modern colloquial speech), in Finnish Köli and in Norwegian Kjølen, with the three latter meaning The Keel, are a mountain range that runs through the Scandinavian Peninsula. The Scandinavian Mountains are equivalent to the Scandinavian Caledonides. The western sides of the mountains drop precipitously into the North Sea and Norwegian Sea, forming the famous fjords of Norway, while to the northeast they gradually curve towards Finland. To the north they form the border between Norway and Sweden, still reaching 2,000 m high (6,600 ft) at the Arctic circle. The mountain range just touches northwesternmost Finland, but are scarcely more than hills at their northernmost extension at the North Cape. The Scandinavian mountain system is geologically connected with the mountains of Scotland, Ireland and, crossing the Atlantic Ocean, the Appalachian Mountains of North America. Geologists hold that all these formed a single range prior to the breakup of the ancient supercontinent Pangaea. The current mountains are remnants of the Caledonian mountains. The mountains have been eroded to one-fifth of their original height. The mountains are one of the oldest still extant mountain ranges in the world. 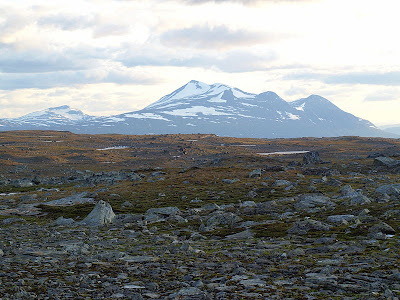 The Scandinavian Montane Birch forest and grasslands terrestrial ecoregion is closely associated with the mountain range.